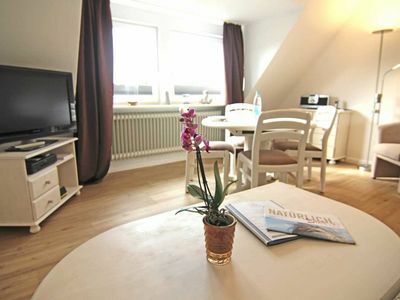 You can reach the cozy 3-room-apartment (120qm²) through a separate entrance, which also offers direct access to the garden. About an old staircase leads to the entrance of the furnished rental apartment in the first floor. 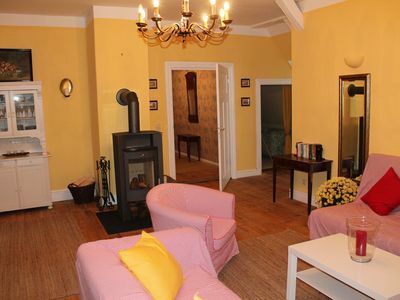 From the entrance and cloakroom area access to 2 bathrooms, each with shower and toilet obtained equipped. In addition, located in the apartment a small guest toilet. 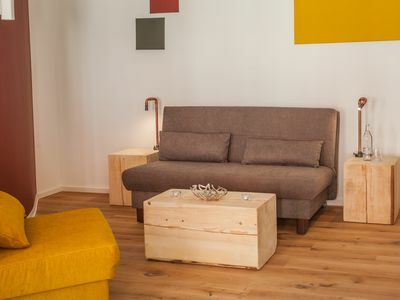 In the spacious living room (50 square meters) with kitchenette are colorful seating, a flat screen TV, and a fireplace for cold days (firewood is available). 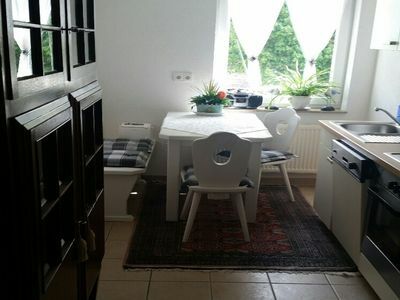 The antique dining table is heavy more folding, two high chairs are located in the apartment. For younger guests, an adjacent play area is set, cots are available. 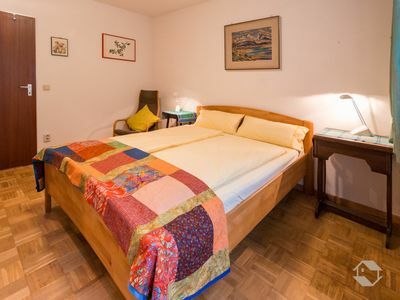 A green bedroom (queen bed 1.40 mx 2.00 m) with view of the garden and a further cozy bedroom facing Kröpelin (2 separate beds) offer space for 4 people. 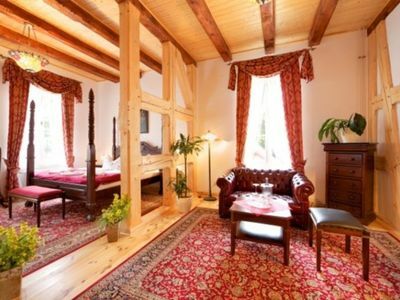 The living room has a sofa bed, which provides 2 additional person sleeps when needed. Note: In the owner's house is a washing machine that can be used on request. 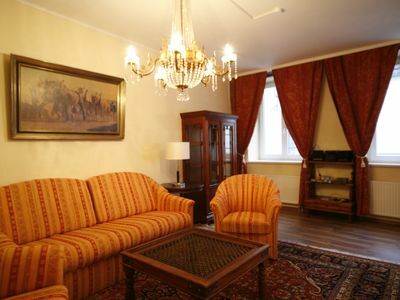 Spacious 3 bedroom apartment in a mansion with a fireplace offers plenty of space for 2-6 people + 1 infant. On cold days, the stove provides in the furnished rental apartment for lots of comfort. The park offers, in addition to quiet places, plenty of opportunities for fun and games for humans and animals, the two Shetland ponies feel comfortable. 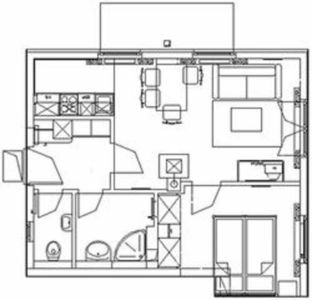 The apartment is very suitable for families with children, less suitable for mechanics. Localization: The Baltic beaches: Your location is a good starting point for day trips into the dreamy Rerik (about 10 km) or in the well-known and much visited Kuehlungsborn (approx 10 km) with a beautiful beach promenade, many cafes and restaurants, the Concert Gardens East and West and a marina, it is the largest Baltic Sea resort in Mecklenburg. 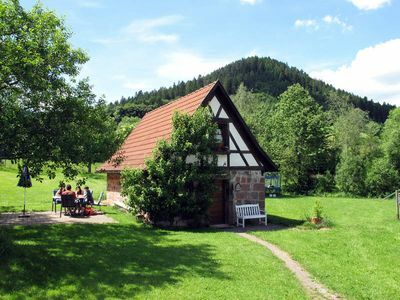 Other excursions are the Münster town of Bad Doberan, with Germany's oldest racecourse and the Mecklenburg Molli railway, as well as in the oldest German seaside resort Heiligendamm - the "White Town by the Sea". 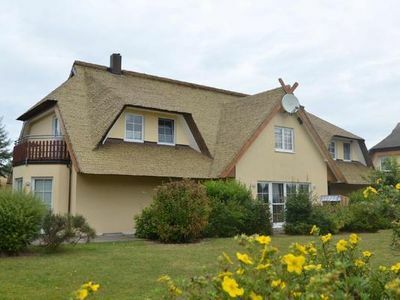 Leisure activities around: Just 10 km from the famous beaches in Rerik, Kühlungsborn and Heiligendamm Baltic Sea, in the idyllic Detershagen, a district of Kröpelin, lies a beautiful manor house surrounded by woods and meadows. 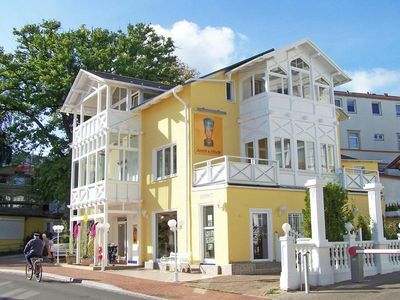 Visit the Hanseatic cities of Wismar (UNESCO) and Rostock harbor, the seaside resort of Warnemünde and the state capital of Schwerin is highly recommended. 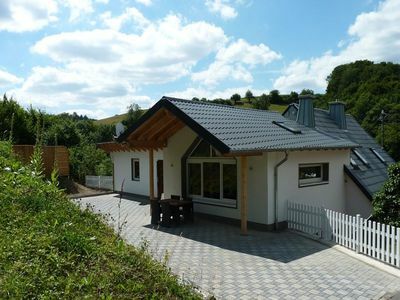 Cycling and walking - good hiking trails, as well as horse riding (riding stable nearby) and water sports like fishing, surfing, kite surfing, scuba diving, boating in the Baltic seaside resorts. 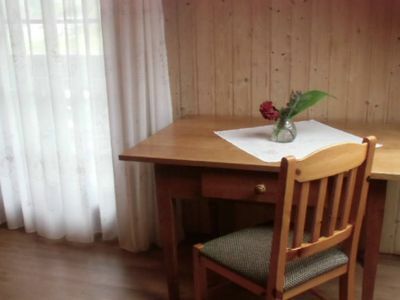 Town Kröpelin (2 km): shops, bakers, butchers, hairdressers, pharmacy, doctor in the overall tour price: final cleaning, linen & towels, electricity, water and heating as well as parking. Note: Pets are not allowed.